Gatlinburg New Years Eve in the heart of the Smokies is an interesting alternative to traditional metropolitan city celebrations. 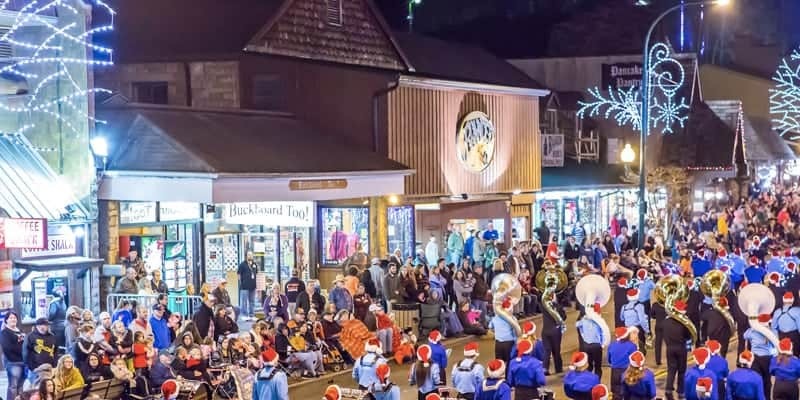 Gatlinburg, Tennessee has numerous events planned for the holiday, including special celebrations offered by area businesses and dining establishments. The most popular activities and events included are listed below. The most spectacular New Year’s event will take place at the Gatlinburg Space Needle, a 407-foot observation tower that overlooks the town and the surrounding Smoky Mountains. On December 31, the festivities begin at 10 p.m. near the Space Needle (by the intersection of Parkway and Historic Nature Trail) with free live entertainment. Rhythmic LED lights will decorate the tower, programmed to activate when the special music (choreographed by Pyro-Shows, Inc.) starts. At the stroke of midnight, fireworks will blast off the rooftop of the Space Needle simultaneously with the light show. Admission is free to the public, and free party items (hats, noisemakers, eyeglasses, etc.) are given to event attendees. Premier Dinner – Choice of Prime Rib or Chicken Dinner, Bottle of Champagne for two, reserved seating with full service, party favors, and midnight confetti drop; doors open at 7:30 p.m., and dinner begins at 7:45 p.m.
Dance Floor – Has same options as Premier Dinner, but without the reserved seating and full service; doors open at 7:30 p.m., and dinner begins at 7:45 p.m.
Sports Bar – Complimentary glass of champagne, appetizer buffet, party favors, and midnight confetti drop; doors open at 7:30 p.m., and dinner begins at 7:45 p.m.
General Admission – Complimentary glass of champagne, party favors, and midnight confetti drop; doors open at 9 p.m. Choice of Standard or Premier table (has a special view of the Ball Drop and Fireworks Show, midnight champagne toast, and party favors). Premier tables open at 9:30 p.m., all others open at 10 p.m. The world-renowned Sugarlands Distillery is home to the country’s best moonshine and whiskey blends. The Sugarlands Spirit Stage has been the venue for many musical acts, including a Gatlinburg New Years Eve event showcasing the talents of outlaw country singer and songwriterPeewee Moore. Moore, born and raised in Fort Oglethorpe, Georgia (located in the foothills of the Appalachian Rainforest), made his musical break in Austin, Texas, and is now heard on Sirius XM’s Outlaw Country channel. The event starts at 7 p.m. with advance purchase tickets available online. If visitors arrive before New Year’s Eve, they can take in a scenic tour of Gatlinburg on a Trolley Ride of Lights. Specially decorated and designed trolley cars run hourly between 6:30 and 8:30 p.m. daily, taking visitors through decorated buildings, homes, parks, and sidewalks in the downtown area and down adjacent Highway 321. The trolley is enclosed and heated for comfort, and ticket reservations are required. For couples wanting an unforgettable wedding day, an old-fashioned mountain ceremony on the secluded grounds of the Chapel at the Park is a good idea. The beautiful white wood chapel borders on the Great Smoky National Park and has lush rose gardens, a hidden forest area, and a gazebo. The Chapel has discounted services by reservation on both New Year’s Eve and New Year’s Day for indoor and outdoor ceremonies. Interested visitors and locals can compete for $1,500 in cash prizes for best-dressed in contests during the Gatlinburg New Years Eve Masquerade Party at Three Jimmy’s Family Restaurant, starting at 8 p.m. Hosted by The Blair Xperience. Before the Ball Drop on New Year’s Eve, take in a mystic maze of rotating mirrors and a state-of-the-art light and sound show at the Amazing Mirror Maze. 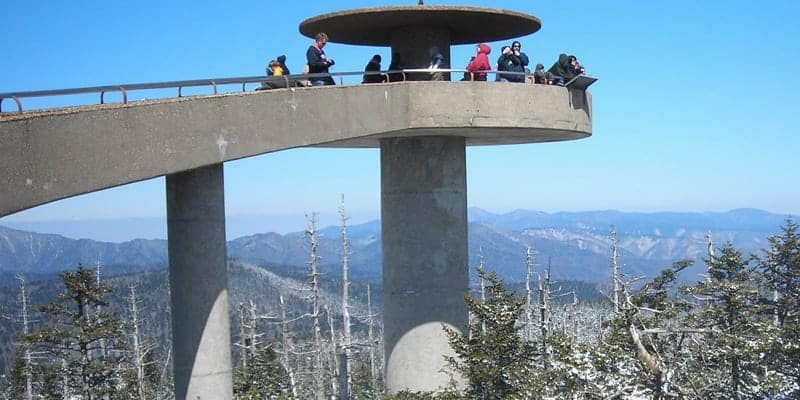 Located on the Great Smoky Mountain Parkway and across the street from the Gatlinburg Convention Center, it has been referred to the hottest attraction on the Parkway. Guaranteed to entertain people of all ages, this venue warrants a return trip because of the ever-changing displays. After visiting a Gatlinburg New Years Eve, travelers will want to add it as a winter hot spot for future holiday seasons. Charming, yet contemporary, the town appeals to tourists of all kinds.